We at inBalance believe that an essential and missing part of our everyday lives is balance. That’s why we offer calming Yoga, relaxing Pilates, challenging Barre or invigorating Cardio classes to help unite you and your body with the elusive sense of balance. inBalance's own unique, high energy barre class, inBalance Barre will forever change the way you look at your workout. It blends techniques from pilates, ballet, plyometrics and yoga, put together into an interval based class to get your heart rate up and metabolism revved. The techniques combined in this class are designed to firm, tighten and tone muscles and re-align the body without adding bulk. Benefits include improved balance, posture, strength, muscle tone, body awareness and flexibility. inBalance Barre will challenge your mind and body like no other class, increasing your resting metabolism, giving you that awesome “after burn” even after you have stopped working out! Our inBalance Barre classes incorporate a vast array of props including weights, balls, bands, TRX, ankle weights and more!.All fitness levels and ages are welcome. inBalance Barre is where strong and balanced bodies are made. Dance is our passion here at inBalance, in fact it was Hope Cowgill's love of the art form that led to her setting up the studio in the first place. So we want to share this love of dance and encourage more people to enjoy the freedom, exhilaration and bodily toning that this life-affirming practice brings. So we have a wide range of dance classes, and dance inspired exercises for you to choose from. We offer kids dance classes during the summer. All of our inBalance favorites wrapped in one 55-60 minute class! Dance, pilates, barre and yoga...it's all covered in this interval based class. Heart pumping dance cardio (covering a variety of genres including hip hop, pop, latin, etc), combined with serious body sculpting and strength building moves using weights, balls, bands etc., then bringing in the lengthening and stretching of a yoga class; this class has got it all! We take a contemporary approach to aligning and sculpting the body through a unique sequencing of movements, built in intervals, designed to make you sweat and boost your metabolism for hours after the workout is finished. This class creates an addictive synergy of mind, body, and spirit! A class that showcases all of our amazing class offerings each week! This class will be anything from power yoga, to Piloxing, to barre, TRX, vinyasa, zumba...the possibilities are endless! A great way to try out a new class and instructor each week! You can get cardio on a treadmill or a bike, but at inBalance we like to challenge the mind and keep the body guessing. We've created some of our very own classes that incorporate High Intensity Interval Training (HIIT) with yoga and Pilates principles for the ultimate workout. 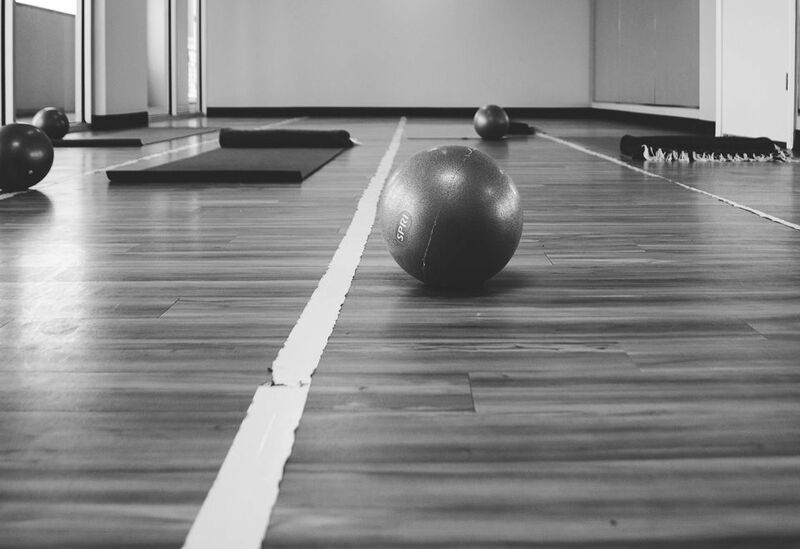 These classes use weights, balls, bands, medicine balls, kettle bells and whatever else we can think of to give you a new workout every time you come to class! We are adding new classes all the time, so keep up with our schedule. This 45 minute class blends CrossFit fundamentals with Pilates and Yoga Principles, incorporating cardio, weights, abs, core, and endurance training before finishing with a cool down. It is a total workout class, designed to burn fat and calories while developing strength and agility. Plan to sweat like crazy while working every muscle group! Piloxing is a non-stop, interval fusion of pilates, boxing and dance that will really make you push the envelope for a total body workout. It will see you burn maximum calories, build lean muscles, and increase stamina. Age is no barrier to enjoying dance. We fun kids' classes in the summer and welcome seniors who benefit greatly from the bone strengthening and cardio aspects of dancing. We regularly mix things up by adding new classes to schedule and inviting new instructors to share their knowledge. 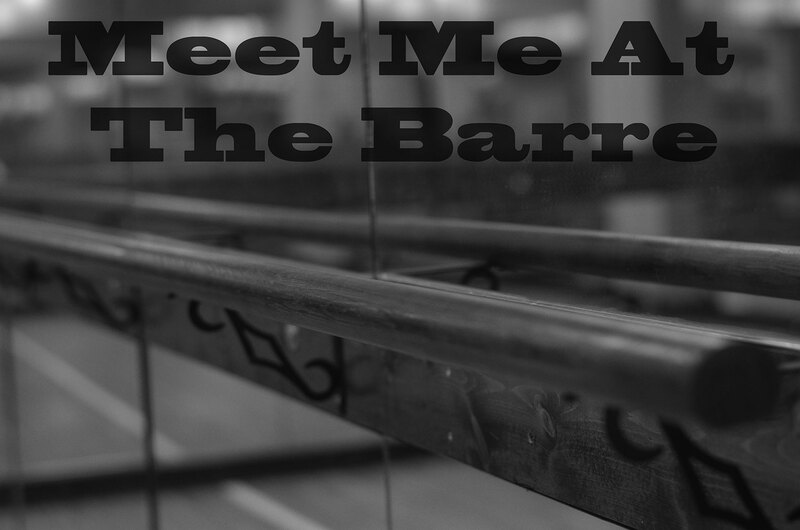 An inBalance twist on Barre fitness! This total body conditioning class is an hybrid workout of high intensity interval training drills (HIIT) incorporated into the barre fitness flexibility and sculpting training. Think barre, boxing, pilates, cardio and whatever the heck you can fit into one class! BODYSHRED™ is a 30-minute high intensity, fun and effective interval/circuit workout divided into sections of 3 minutes of strength moves, 2 minutes of cardio and 1 minute of core. You will shed fat, define muscle, rev up your metabolism and transform the look of your entire physique, and dramatically enhance your overall health and athletic performance. GoodLife offers BODYSHRED™ in two formats: 30-minutes and a 45-minute workout which provides participants with the opportunity to review the moves that will be performed during class and perfect Jillian’s unique “shredder” exercises that will be presented in the workout. Pilates apparatus is used to promote length, strength, flexibility and balance, and is great for those who are experienced in Pilates, as well as those who find a mat class a bit too taxing on the body. All levels will find the benefits of these group sessions (or private sessions) to be unbeatable! Group reformer/equipment classes provide a great opportunity for Pilates students to maintain a consistent Pilates training program. These classes offer an intimate, focused, fluid and balanced full-body workout taught by trained Pilates professionals to address the goals of the students enrolled. Space is limited to five clients, per class. “In 10 sessions, you feel better, 20 sessions you look better, 30 sessions you have a completely new body." Developed a hundred years ago by Joseph Pilates, this is a perfect form of exercise for people looking to improve flexibility, lengthen limbs and improve posture. It can be done by people of all ages and fitness levels and is great for people looking to rehabilitate, prepare for pregnancy or even just improve fitness and strength. Here at inBalance we offer a range of mat and reformer pilates classes. Pilates is intended to preserve the inspired evolution of Body Contrology, the work of Joseph and Clara Pilates. It is taught in order to mentor others in the physical transformation that leads from strength to balance to grace. Benefits of Pilates matwork include enhanced spinal articulation, strengthening the core and coordination of the extremities, increased flexibility through muscular control and increased spatial awareness through direction change and use of focus. At the core of Pilates is movement and breath, conjoining the two to work together. This class will use towels, balls and other props to enhance the benefits of a regular mat Pilates class, while challenging the core as well as hip and shoulder girdle stabilization. People of all fitness levels are welcome. One of the most popular pieces of Pilates equipment, the reformer is used to promote length, strength, flexibility and balance. The reformer is great for those who are experienced in Pilates, as well as those who find a mat class a bit too taxing on the body. All levels will find the benefits of a reformer session to be unbeatable! The Wunda Chair, or Pilates chair is a traditional chair that can be used for resistance training. Highly adaptable, they contain springs that you can push against like a large pedal. They are great for people across a wide range of ability ranges. A pilates class that flows through each exercise choreographed to music. This class tones and challenges the body! **Pre-requisiste: at least 5 pilates classes. A class that has it all! Join us for a mix of strength work with heart pumping cardio for a class that will work the entire body in an interval based workout. A blended class of reformer work and tower work to challenge the body while building strength and flexibility. Join us for a flowing full body workout that focuses on the core. This class blends elements of Pilates and Yoga for a mind body class like no other. Strengthen, lengthen and unwind in this fun free flowing class! Developed in the Navy SEALs, TRX Suspension Training body weight exercise develops strength, balance, flexibility and core stability simultaneously. The suspension system is infinitely scalable, so no matter where you are on the fitness spectrum, you can get an effective total-body workout, building a strong core and increasing muscular endurance. Our TRX Sculpt class will sculpt and shape your body, building long lean muscles! inBalance offers all styles and levels of yoga classes, including Hatha, Power, Vinyasa, Restorative, and Gentle. So whether you are a yogi of many years standing, or new to this ancient practice, there is sure to be a class for you. Ashtanga Yoga is a powerful sequence of Hatha Yoga postures combined with specialized breathing to create internal heat that opens the muscles and purifies the body. Each pose links to the next via a series of connecting movements called Vinyasa. The constant movement creates heat and leads to more flexibility. It's like a form of meditation. Students should leave each class feeling purified and powerful and realigned with an aura of inner peace. Regular practice can result in physical strength, flexibility and balance; improved cardiovascular health; an increased ability to focus; and a steadier mind and spirit. Ashtanga Yoga is a challenging form of yoga so our trainers encourage prior participation in a Vinyasa Flow class. Gentle yoga is appropriate for all levels, especially beginners and those that want to advance gently through the practice of yoga. This class is especially well suited for pre/post natal yoginis, those recovering from injury or surgery and those seeking a gentler practice of yoga. that leads to peace, calm and self-acceptance of yoga. Each session takes place in a spirit of humor, humility, and warmth as you are invited into this deeply relaxing practice. After only a few sessions you'll find you can move further into postures with greater ease and reap yoga’s many benefits. Soothe your soul in this restorative class! Restorative Yoga blends moving meditative and bliss-producing restorative poses with lots of supportive props. And it takes place in an room flooded with soothing music and scents from carefully chosen aromatic oils to help attain a suitable level of relaxation. Restorative poses are an important part of any long-term yoga practice: they recharge our energy reserves, heal the effects of stress and bring our nervous systems into a more balanced state. This class will leave you feeling relaxed, refreshed and renewed. The class is open to all levels. In this class students will be guided through a series of asanas designed to reduce tension in the body, create flexibility and strength and promote focus. It is suitable for all levels as modifications are offered to either make the flow more challenging or relaxing. This is a good form of yoga for learning about the art's process of precision and alignment and all levels are encouraged to attend. Open to all levels, Power Flow will stretch your muscles, build strength, find your balance, open your hips, turn you upside down and let you enjoy some stillness. You will leave feeling refreshed and invigorated. In this practice, students flow from one posture to another, synchronizing breath and movement. Often the class begins with sun salutations, standing poses, and balancing postures, then moves to seated forward-folds, twists, backbends and inversions. Exertion may range from mild to vigorous and emphasis will vary from class to class. Modifications and variations will be offered in a supportive way for each person to practice comfortably. This class is most appropriate for students with a basic knowledge of yoga postures. All levels class! Yoga Sculpt is designed to ignite energy on the mat. This powerful vinyasa flow is complimented with freehand weight integration, plyometric endurance, core work, and isometric metabolism stimulation to build lean muscles. In this packed 1 hour class, you will tighten your entire body and challenge your mind! This class will give you a complete physical work out, and mental work in. Lengthen & Tone Yoga is the perfect complement to your cardio workout or the perfect way to get moving with low impact. Ideal for all fitness levels, this class is a dynamic flow designed to strengthen and open up your muscles creating long, lean, definition in your body tone.